I am completely gobsmacked at the pertinent arival of this email. It mirrors absolutely the way I've been feeling all day as I wrestle with a recalcitrant story that will simply not go my way! It's exactly what I needed to hear - not a word of a lie. Somebody round here is a mind reader, is all I can say. I love, love, love that this happened. Usually, when something niggles at me to be written, this is why. 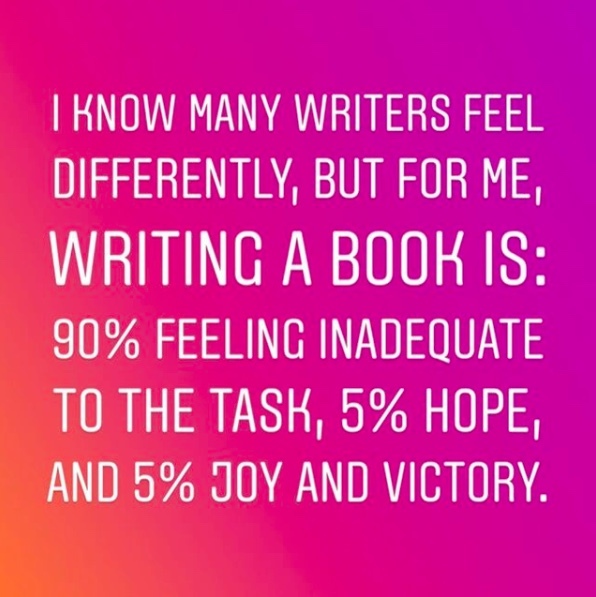 Take heart, fellow writer!! PERFECT TIMING. I am one of more than 200 authors speaking at the Louisiana Book Festival this weekend, yet I have those all-too-familiar "They'll find out I'm a fake" feelings...even though I have three published books. Ohhhh, big hugs to you! I HATE those "they'll find out I'm a fake" feelings---where do they come from, anyway? Yes! 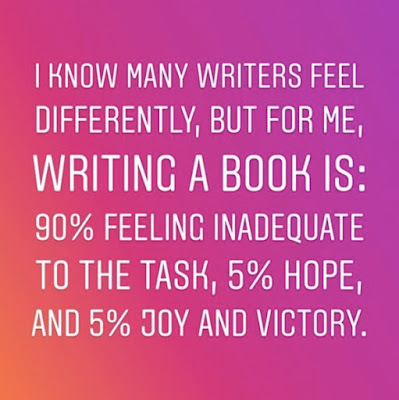 I feel the same way, and my attempt to use NaNo to try and get the draft for my contracted book 2 done (and that's just the draft) after half a dozen false starts... Yes, that quote is sooo appropo! That sounds like a great plan, though! There's something so intimidating about this contracted book 2 stuff. But we've got this! My brain had the same reaction to the quote. Instant truth. It's always so important to remember that no matter how successful a writer is, they still have times they feel inadequate, like frauds. We all have that insecurity and need to hang on to that hope and joy. I've been struggling in my to get consistency in my own writing, so this was great timing. I'm always glad to know that something I've written timed well for someone! :) Yes, that "I'm a fraud" is so prevalent...it's crazy. If nobody actually knew what they were doing, there wouldn't be any books!